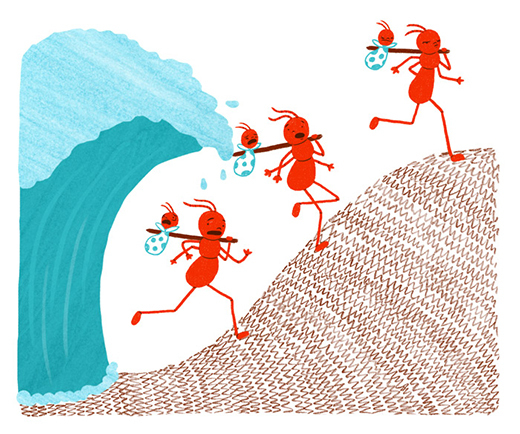 I created this series of seven illustrations for Your Wild Life to accompany the article, How to Beat Flooding, Ant-Style, written by scientist and science communicator, Dr. Eleanor Spicer Rice. 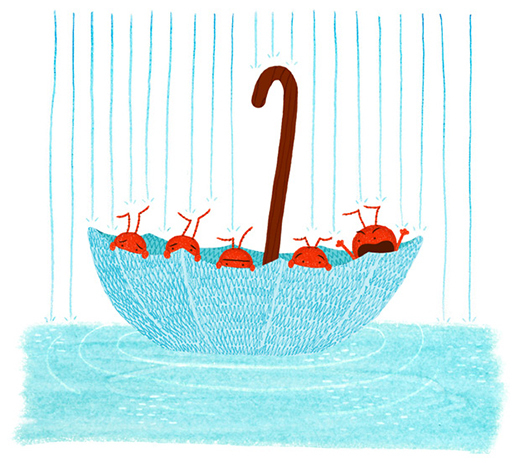 The article is about the survival tactics of four different species of ants when they come face to face with rain—which for ants means flooding. The article is educational while being humorous and is written in layman’s terms so even the non-scientist (like me!) can enjoy and understand it! 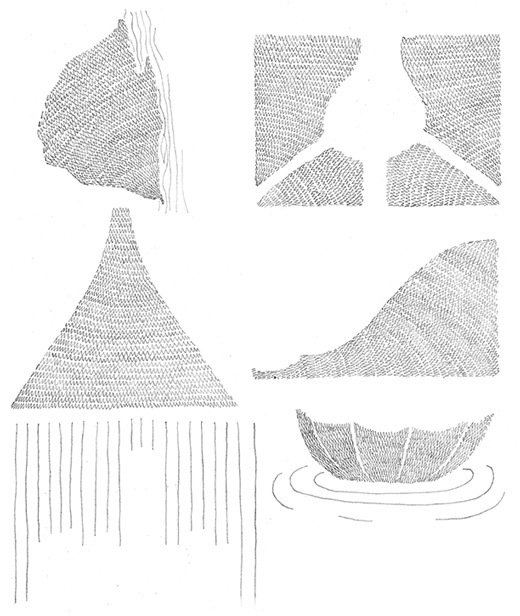 These are two out of the seven illustrations from the set. 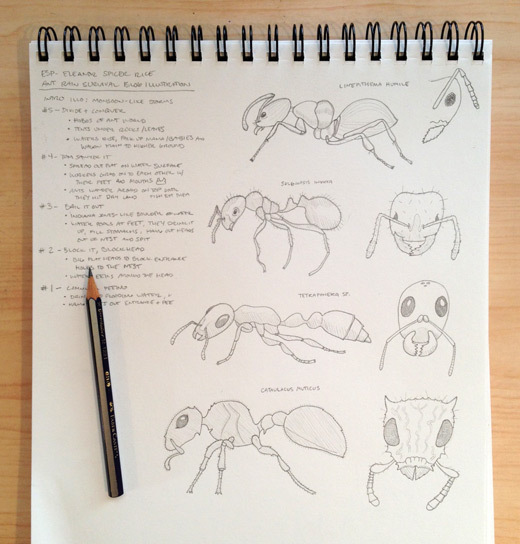 I began the assignment by reading the article and understanding the concepts I was to illustrate, and then researching the four specific ant species. 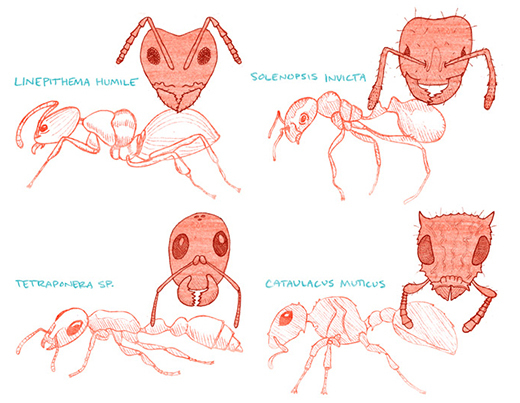 I knew we didn’t want realistic scientific-y looking illustrations, but I thought it was important to at least know in my mind what the ants actually looked like. 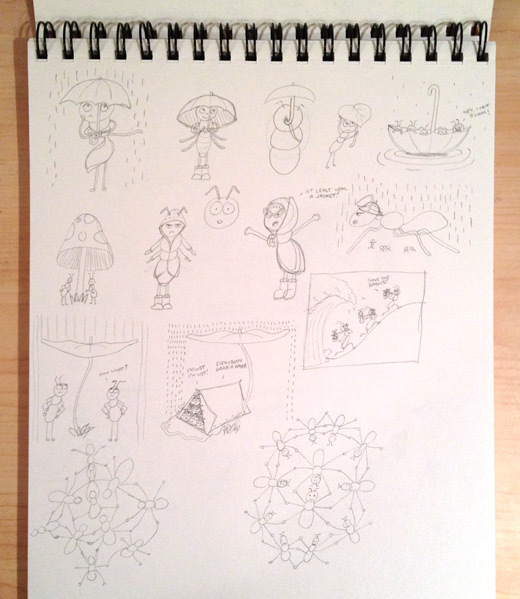 I didn’t want my drawings to be completely off, even if they didn’t need to be exact representations. 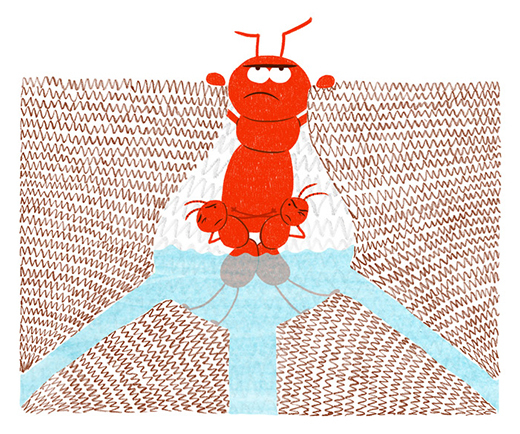 What if this type of ant had four antennas!? So I drew these little guys above, which actually ended up being used at the end of the article as a kind of “meet the stars!” section. Side note: that last guy is terrifying in photographs. 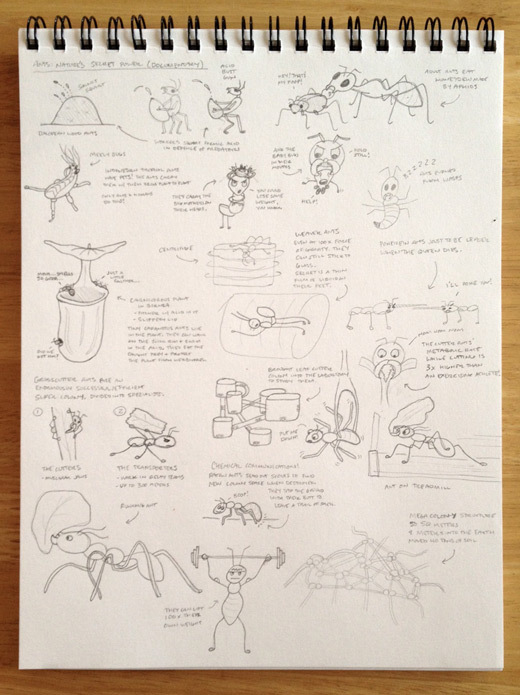 Then, because I coincidentally happen to be kind of obsessed with ants, I watched a documentary about ants, and sketched some of the things the ants did in the movies. Look at that one up in the top left had corner! They can shoot poison out their butts! Fascinating. 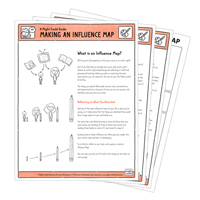 Then after a couple changes and approvals, I started on the final artwork! Above are the pencil textures I drew and scanned in. And below are two of the other final illustrations, including the more-true-to-life “Meet the Stars”. You can see the rest over on Your Wild Life!